Adding a 5th Service at Substance! What a crazy few months it’s been at Substance! Even though the staff and I are tired, it suffices to say that we’re also refreshed by all of the fruit we’re seeing. Church: I’ve never seen so many radical conversions in my life. Almost every week we’ve gotten a pretty radical God-story coming out of the Substance community. It could be because, we’ve gotten over 550 new people involved in a weekly ministry in the last 6 months. But I also believe it’s because, in the last few months, our small group ministries have been exploding (which is a huge sign of church health for us). I’ve always dreamed that we’d have 24-7 prayer at Substance. (So, watching our Tuesday Deeper experiences stay packed out has been really encouraging). I’ve also dreamed that we’d have a small group devoted to every single book in the Bible… as well as a small group devoted to every imaginable spiritual discipline & outreach. (So when I saw our 10-week live-internet streaming Apologetics class totally packed out, I was again encouraged). But remember church: This is just the beginning! This year is going to be a radical shift in terms of small groups and mid-week discipleship experiences. In fact, I believe we could easily quadruple our number of small groups in the next 9 months alone. And that’s what I talked about in last week’s “State of the Church” address. In fact, if you haven’t listened to last week’s “inside scoop message,” please take an hour to get clued in. We are launching some amazing new programs that will alter Substance as we know it. So, go online and watch the video… http://www.ustream.tv/recorded/5320450 …or, at least, get the audio download on itunes or at http://www.substancechurch.com/podcast/. So, it doesn’t surprise me at all to see our weekend numbers starting to swell. 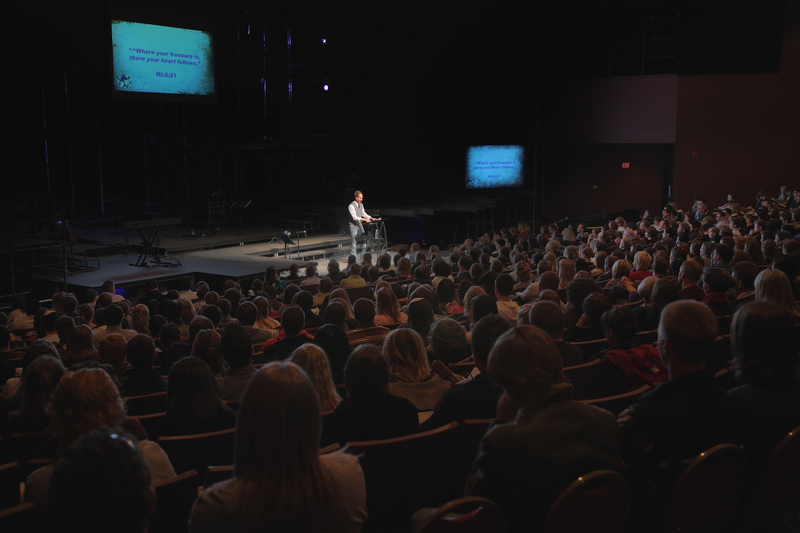 When we launched a new campus in Northwestern’s 1300 seat auditorium, we had no idea that we’d be launching a 2nd service so quickly. We still had a couple hundred seats left over. But, after shuttle-bussing over 500 attenders to our service the other week, we realized that it’s time to change. 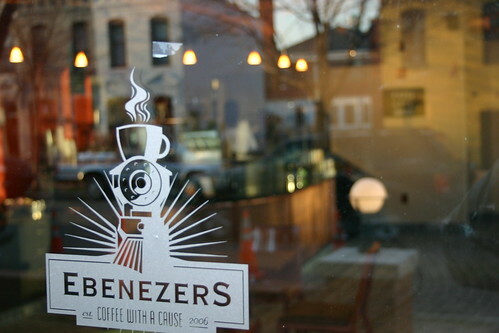 Saturday evening at the Operation Center / Coffee House: at 5 pm. Sunday morning at Fridley High School: 9 am (live) & 11 am (video venue). Sunday morning at Northwestern: 9 am (video venue) & 11 am (live). Again, I’m going to preaching live at least once a weekend at each of our three campuses; but, once you see our “dual-feed” high-def-video-screens at both Sunday campuses, you may actually prefer the video venues (like many hundreds already do at Fridley). So, many of you are probably thinking: “Pastor, how can I help out with all of these changes?” Well, my answer is three-fold: (1). Pray for all of these changes! (2). Watch the State of the Church address ASAP. And finally (3). If you already attend Northwestern, commit to our 9am service for 4 weeks! I know it sounds weird; but, for 2 services to work at Northwestern, we need about 400 people to voluntarily attend our 9 am service for a temporary period of time. If, after 4 weeks, you want to switch back, then that’s perfectly fine. However, if we don’t free up seats at our 11am service, then our unchurched friends will be the first to stop coming. Make sense? But, never fear: We’ll have extra coffee available for you! And we also have a few fun surprises planned for those of you who attend our video venues! So, get ready Substance! But, in the meantime: I love you guys! This is so much fun! Honestly, there is nothing more fulfilling than pursuing the Lord together. So, let’s know him & make him known! Amen? Hey there faithful men and women of Substance. As most of you already know Haiti has been undergoing one of the worst humanitarian crisis the world has seen in a while. On Jan.12th, a 7.0 earthquake rocked the capitol of Haiti resulting in at least 140,000 casualties. As many of you already know, Haiti was already a poverty stricken situation; thus, the circumstances and plight of these people is downright terrible. During our 21-day fast, I was recently reading Isaiah 58:6,7… God says, “this is the kind of fasting I want: …Share your food with the hungry, and give shelter to the homeless. Give clothes to those who need them, and do not hide from relatives who need your help.” Immediately, when I heard about Haiti, God brought this to mind. In fact, right now, there are hundreds of thousands of homeless people sleeping on the streets tonight. There are tens of thousands of children who lost both parents… who lost limbs… whose entire world is flipped upside down. As a church, we need to act. So this Sunday, not only are we going to pray; but, out of our tithes, we’re sending a large donation as an immediate response; yet, this is merely pittance compared to what I’d like to do. Also we’re going to spend time in prayer for Haiti this Tuesday at our Deeper Experience (Operation Center, 7pm). Last Tuesday we had a totally packed house for our first deeper experience. But, I hope that this Tuesday repeats that passion as we seek the Lord on behalf of this tragedy. Thank you men and women of Substance. This is what true Christianity is all about. But wow! What a beautiful country! I’ve never seen mountains more beautiful than the Swiss Alps. Believe it or not, I actually saw my first real avalanche. The villages are straight out of a fairy tale. And the clothes shopping is mind-blowing… both in excessive cost and coolness (so we had to exercise great discipline). But a small Starbucks coffee drink is over $10!!!!!!! So, I knew I could never live there. (j/k!) However, I was amazed over how many people knew about Brett Favre! I realized that U.S. pastors are a lot more open to risk-taking and methodological innovation (which can be a negative thing as well). But, having a common primary language enables U.S. churches to dialogue and debate about the pros-&-cons of church methods quicker and easier. Thus, when “innovation succeeds,” American churches are able to adapt more quickly. We have more “role-model” churches, and more debate over which “role models” are best… and it naturally makes our churches better. Of course, don’t get me wrong: We have just as many dying churches in the U.S. But our ignorance and isolation are more a matter of choice than it is of language isolation. English speaking churches in the US form a “language group” that is easily 7 times larger than the largest language group in Western Europe (German). It’s also not surprising that German-speaking churches tend to be ahead of the curve compared to much of Europe. But overall, God is doing great things in Switzerland. I’m encouraged to find other churches like Substance that are gaining ground. But I want to encourage all of you at Substance. The more I travel, the more I see that we have a very rare and unique thing going on. We have so many brilliant thinkers and innovative leaders. As I spoke at some of these events, I immediately knew that God has a call on Substance to build churches and leaders all over the globe. I have a sense that sometime within the next 3 years, God is going to be opening doors for us on a ridiculous level. Of course, I also have a sense that there are many of you here at Substance who are sitting on the fence wondering: “Should I get more involved?” (Obviously, only you can discern that.) But, all I know is that, I’m going to be dragging many of you all over the world to teach the nations. But, I’m only going to be pulling those of you who are already in the inner circles of Substance. So get on board! And let’s go to the nations together! Can Worship Be Like A Punk Show? Every time I walk into our Operation Center in Roseville, I’m compelled to thank God for his grace. After all, this facility is nothing short of a financial miracle. A church our size usually has a tithing base that 3 times as large; yet, through thriftiness and the generosity of a small number of families, we’ve been able to build our mid-week auditorium. So far, they have been absolutely crazy-amazing. We probably over-promoted the first one (as we packed an amazing number of people inside like Sardines… with no seats) It felt like a sweaty punk-show. But that was one of the most amazing worship nights I’ve had this year. I remember reading about King David in the Old Testament dancing until his clothes started falling off. A long time ago, I couldn’t relate to this image of worship as I had grown up in a stiff and stoic liturgical church. Don’t get me wrong: I’d jump up and down at sporting events. I’d mosh at a local concert; but, worship equaled sitting still. I had no idea that the God of scripture was a God who loved to celebrate. And if that’s something you can relate to, I’m happy to tell you: There’s more for you and me! Worship isn’t always meant to feel like a historical funeral service. And frankly, when you realize how amazing our God is, I don’t know how anyone can stay sitting down (unless they’re passed-out). At our last worship night, almost every person was dancing their hearts out like it was 3 a.m. (Anyone who’s ever thought that Christians were boring hasn’t met this group!!) For the last song, we started doing this Hillsong United song that sounds like an old-school British punk song. Everyone was jumping, including our worship band. So if you’ve got time, come and join us for one of our worship nights. Of course, I’m not recommending you invite your unchurched neighbor, nor am I suggesting that you should come ready to destroy our drywall. But, I don’t mind hiring a construction crew to clean up after our worship nights as long as people are filled with the Spirit of Worship. One thing is for sure: If you truly open up your heart to a God whose very name is “Consuming Fire”, you will never be the same. So try it sometime. As I once heard from a quirky youth pastor: “There’s no high like the Most High.” And although it’s cheezy, it true. Cover Article - Being Substance! Who would have thought we could already be launching a magazine! (Then again, who would have thought we could have become a triple site mega church in just a few years). But God gets the glory once again! And we’re excited to announce the inaugural issue of Being Substance Magazine. As many of you know: Substance is a “church of churches.” We have over 100 different small groups, home churches, and fellowship opportunities that focus on every topic imaginable. We always tell people: “Church is what happens in between church services.” In fact, we go as far as to say: “If you don’t have a friend to whom you could feel comfortable confessing your darkest sins… then for all practical purposes, you’re not a member.” And it’s not that we “force” people to have this experience; rather, we simply know that it’s liberating to be a part of a family that truly has your back… that knows your darkest thoughts; yet, still loves you. (In fact, see our cover story on Armin to get inspired!) You see: The greatest statistical predictor of spiritual growth is “quantity of intimate Christian friends.” So, at Substance, we’ve always emphasized the need for small groups. Of course, Pastor Nick kept coming up to me with a desire to “upgrade” our quarterly sub-group catalog. And when NCU journalism professor Reuben David started dreaming with us, the idea was birthed: “Let’s do a magazine… let’s highlight the amazing testimonies and events going on at Substance!” Even more ambitious, “Let’s do this entirely with volunteers!” After all, Substance is a church filled with writers and graphic designers. Of course, our first printing is a scaled down copy of the online edition. So, don’t forget to go online & see it! (beingsubstance.com) If it wasn’t for Paul Stein and Julie Clark, we wouldn’t have succeeded; but, our hope is that we can recruit a whole new army of journalists, historians, and graphic designers to take this to the next level! So, if this sounds exciting, talk to Pastor Mark Mellen (mark@substancechurch.com). But here’s the deal: Substance is busting at the seams. We just grew by around 400 people this month. God is clearly blessing our church. But we need leaders, volunteers, and most of all: prayer. Remember, set your cell phone alarms for Friday at 6pm. Hundreds of our members stop and pray for one another at exactly the same time. And you can join us too! So check out our magazine (especially online), and get involved. Clearly, God is starting a movement here; but, the question is this: Do YOU want to be at the center of it? If so, join a small group, join a ministry, & get involved in our “empowerment track”. Trust me: You won’t be disappointed. Wow! Over 500 People at our new Campus! Today we officially launched a new Substance campus at Northwestern. And, thanks to God, it was a wild success. Using viral networking alone, we ended up getting over 400 new visitors at our new campus this Sunday… (And we’re not even going to do our “real promotion” of the new campus for another 4 weeks!!!!) Wow! Obviously, we’ve been growing all through out the summer; yet, we had over 400 college students gone for summer. And we knew that, as soon as our students returned, we’d be out of seats (as Fridley High-school Theater only seats around 1400 in two services). So, having the ability to launch a new site in Northwestern’s 1300 seat multi-media auditorium was perfect. Of course, our fancy new video technology almost failed us for our first service at Fridley (where I preached live); but, never fear: It was flawless for the second one (which was the one that counted). Then I went over to Northwestern to preach at the 10:30 service. Of course, Northwestern is gorgeous (& the sound & lighting system is equally amazing). So hat’s off to all of our amazing ministry teams who made this happen. Believe it or not, we’ve involved almost 300 new people into ministry in the last couple months. And we not only expanded into Northwestern; but, if you pay close attention to Fridley, we’re upgrading both our video and our sound. So great job everyone! Also, I just want to re-clarify our new meeting times: (So here’s the big picture). I’m actually going to be speaking live at all three locations each weekend. (The 11am at Fridley will be a mix between creative video and live). However, both the worship band and I are going to be mixing it up so that no venue feels like a “lesser” venue. But let me warn you: The first couple weeks may be a bit chaotic. Attendance at specific services may fluctuate wildly for about a month. But, just hold on; after all, by this November, everything will level off! So, we appreciate your patience with all of our “growth chaos.” But even more, we appreciate your volunteerism and prayers in the coming weeks. I believe in my heart that the Twin Cities will never be the same!!!! So let’s give thanks to God. Agreed? Pics of Lights at OC recording! Well we just finished doing all of our new service times this weekend… and it all rocks. Wow. Our Saturday recording at our Operation Center was stinkin cool! But make sure you read the vision document that I linked in an earlier post! It has a lot of important information about the changes we’re making this Fall. Of course, it will still be a month before we launch at Northwestern, but be praying: These are exciting times! And watch out for changes at Fridley. Because we’re unveiling our new lighting and video set up at Fridley in the coming weeks. (And it will look stinking cool!) God is Amazing! Sneak-peek of Cafe at the OC! We have so many wonderful things going on this Fall. We’re launching a new Substance worship experience at Northwestern’s fine arts theater (in addition to Fridley). We’re also upgrading Fridley with a dual projection HD video system by this August (It will look like a huge vertical wall of video). But, despite the flurry of facility updates, we can’t forget to celebrate our new Operation Center in Roseville! This Sunday, (July 19th) we are officially opening our new facility for business! The coffee machine works beautifully! (I hear that it’s basically the same set up that Starbucks uses). So join us Sunday afternoon for our official Open House / Dedication event! At 2:30 pm, doors open for tours (led by the staff and me). At 3:30 we’re going to dedicate it. And we’ll continue giving tours and hanging out until 4:30. So join us! God is doing amazing things. And remember: It’s not so much about “the building.” Rather, God has been at work in our church community. We’ve had an amazing number of unchurched people give their lives to Christ in the past few months. We’ve also had an unusual number of people get involved in new ministries that we are currently launching. So, this building is nothing more than a symbol representing the true cause of our celebration: the expansion of the Kingdom of Heaven!!!!! So pray that God enables us to continue glorifying him with the increase! All right!? I LOVE you guys!!! Well the staff and I just released some juicy church information in the new document: The Substance Fall Vision 2009! As many of you know, we continue to grow. We have around 450 college students going home for summer this year…yet amazingly, we’ve filled almost every seat since they left! Naturally, even if we didn’t grow at all throughout the summer, we’d still need to add another church service. But, thankfully, we’ve been ahead of the curve! Lastly, we’re doing a Q & A meeting about our multi-site set-up on Wed. July 1st at 7pm. So, feel free to come if you want to hear more about all the changes! But we love you guys. Keep in prayer about all of these changes. We believe that God is going to entrust us with over 700 unchurched people this fall. That’s a HUGE responsibility because, these people aren’t numbers… rather they are sons and daughters, mothers and fathers. So, thanks for being a part of all this! As you read it, ask the Lord what part he’d have you join up with. All right!? Let’s rock this city! What a crazy 24 hours!I just got back from a cool event in Washington D.C.No. I didn’t go for the national day of prayer. (However, I did throw a few up while I was there).Rather, it was basically a pastor’s round-table discussing the emerging forms of 21st century Pentecostalism.But the topic itself wasn’t the coolest part.The best part was meeting guys like Mark Batterson at National Community Church. What I love about that church is that it’s right in the middle of everything (right next to Union Station on Capitol Hill.) Obviously, to be in a place like that, building options are astronomically expensive; yet, God’s presence needs to be manifested everywhere. Of course, the church realized that they need to create seats for lost people; but, they can’t afford to build big suburban style church auditoriums.So, out of necessity, they’ve turned to a video venue model.In fact, listen to how they do it. They have a gorgeous coffee shop.In the basement, they have a 150 seat tv. studio auditorium (in which they have 2 Saturday night services).They record the sermon on video, then they have 6 other larger Sunday services the next day in movie theaters up and down the subway system (all of which are portable)!And you thought Substance had a complex set-up! Of course, I know that some people perceive that “video venues” are cold, impersonal, and are probably the creation of an ego-maniac teaching pastor.But, if you ever visit churches like N.C.C., your mind will be changed forever! Seriously, because of video-venue methods of church, N.C.C. is able to pour millions of more dollars into missions than the typical church.Even more, their staff pastors don’t need to waste endless time writing “duplicate sermons” when instead they could pour their time into discipleship.They also get to plant niche churches into expensive and/or urban areas that would never thrive outside of a “video-venue” model. Anyway, even if you don’t agree with non-traditional models, we can still thank God for creativity.Because creative pastors like that are the ultimate answer to most of the prayers which went up last Thursday. And, Oh Yea…Because it’s the national day of prayer… why do you throw up a few prayers of your own! “God, I thank you for your gracious blessing on Substance.Help us be the church that can be a light unto this nation!”Amen?